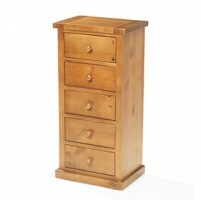 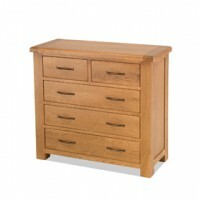 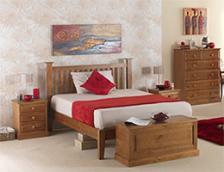 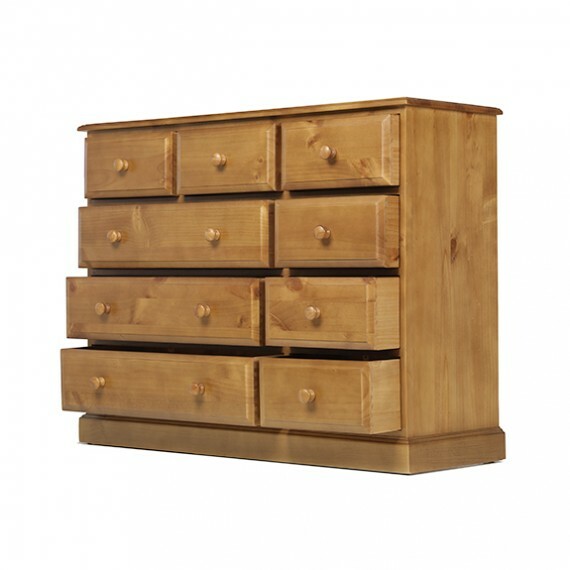 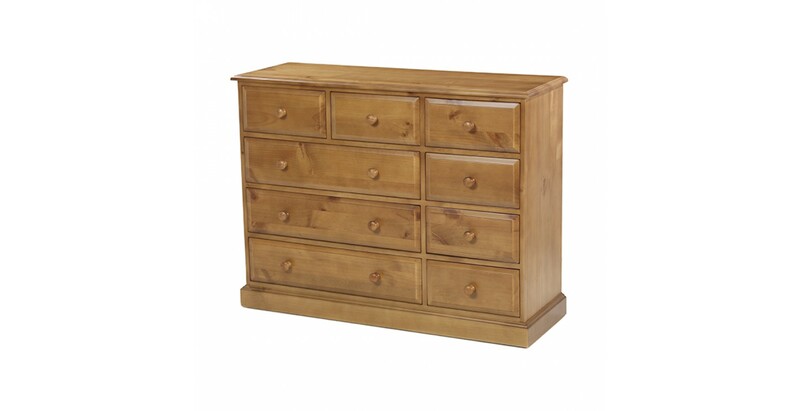 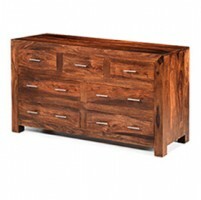 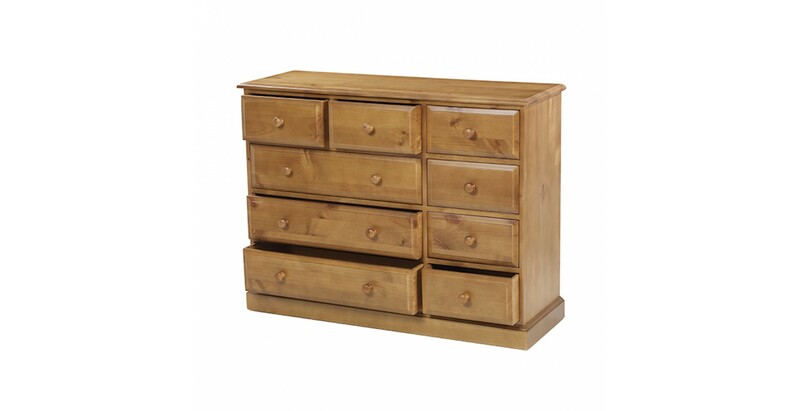 Ideal for smaller bedrooms or any narrow space where you need to get organised, this 9-drawer chest will hold a large amount. 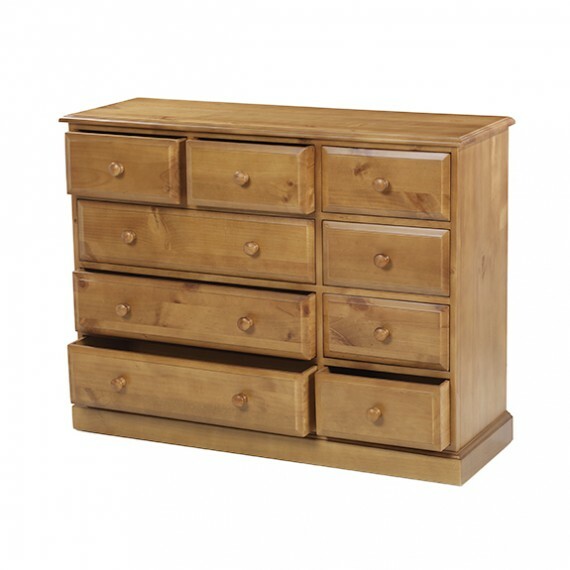 With three large, wide drawers and six smaller drawers, it's a versatile piece that will take care of everything from underwear to jumpers. 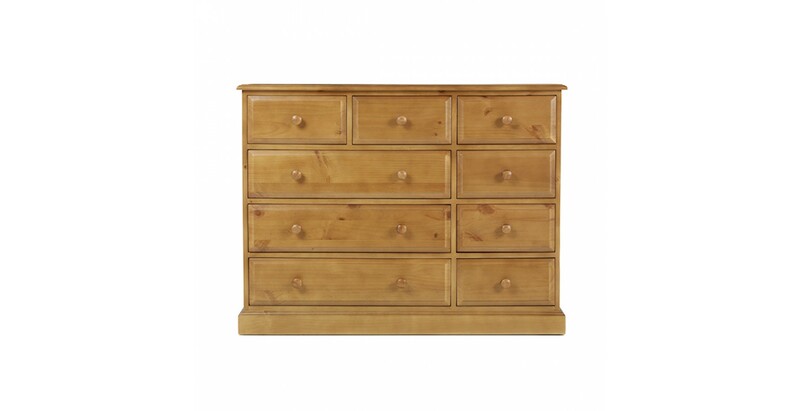 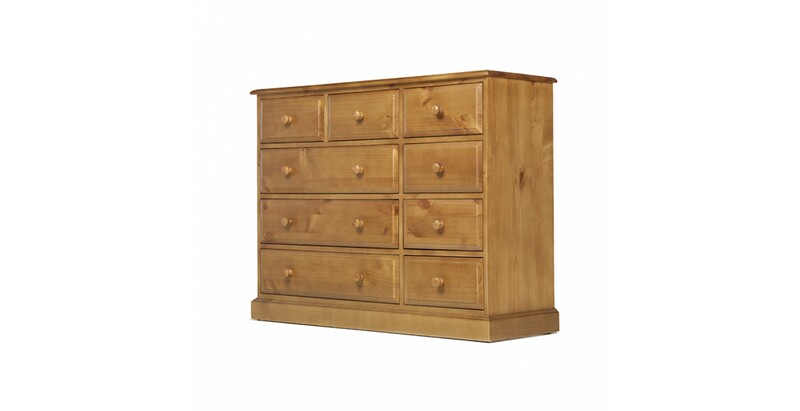 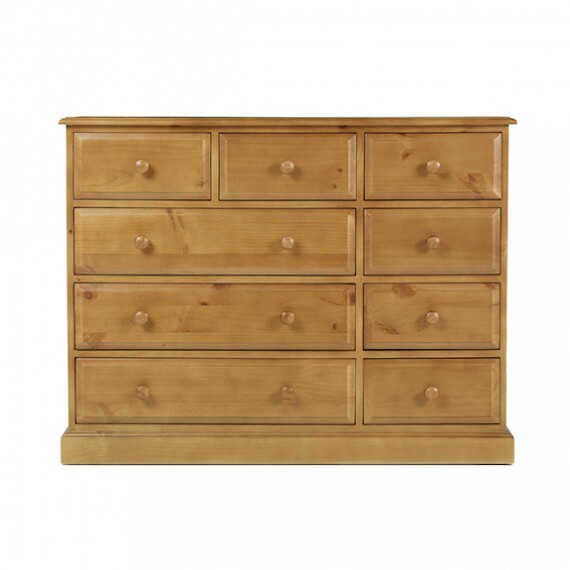 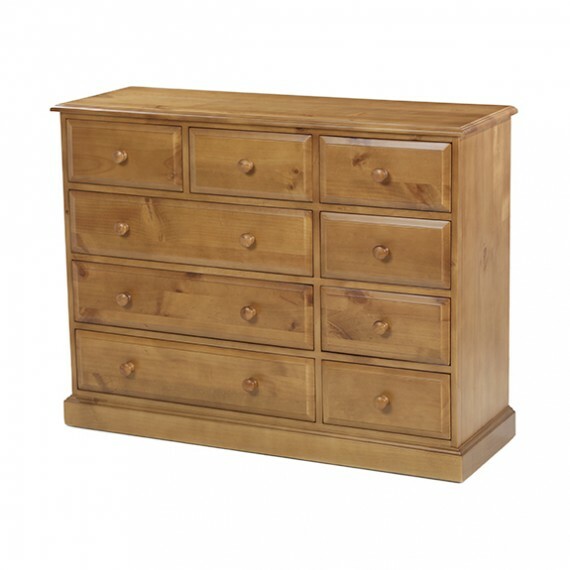 Built from solid pine to offer durability and great value, it's brimming with attractive features such as the bevelled edges and turned wooden handles on the drawers and the sturdy stepped plinth and cornice. 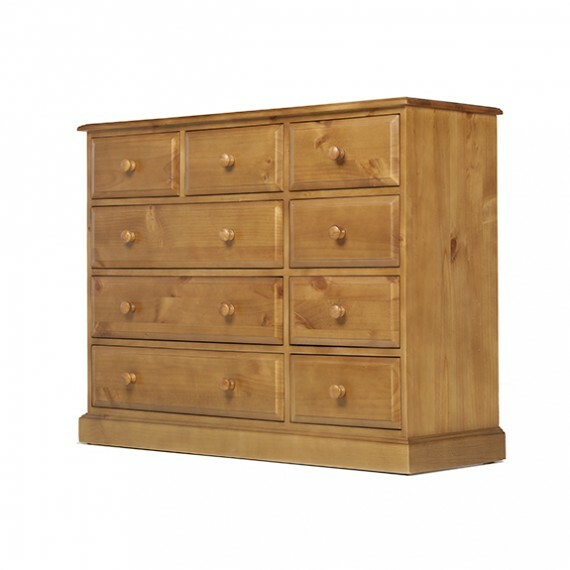 Finished with a matt lacquer to bring out all its rustic warmth and beauty, it will work in perfect harmony with the rest of this country-style range.